Farm Fresh Meatballs are quick and easy to make for lunch paired with your favorite vegetables or a salad. I have also mixed them in to my Spaghetti Sauce to top spaghetti squash or zucchini noodles. In large bowl, mix all ingredients. 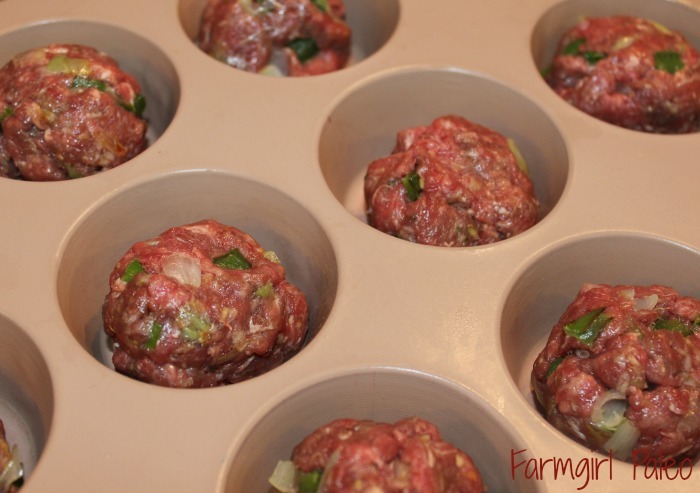 Shape mixture into 12 (1 1/2-inch) meatballs. 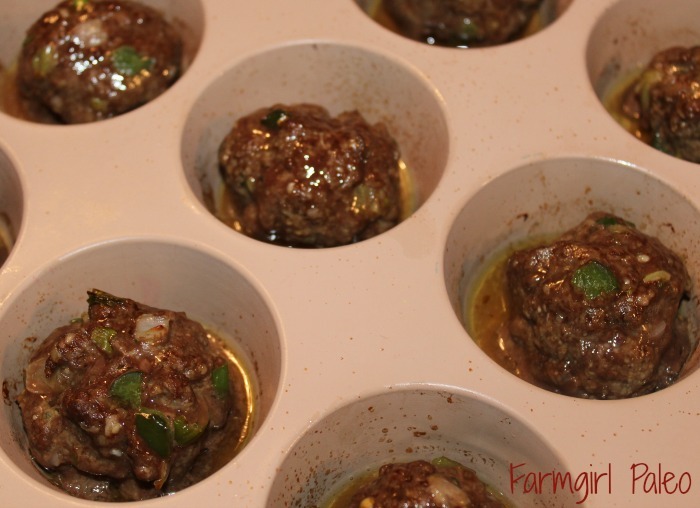 Place one meatball into each cup of a muffin pan (makes 12). Bake uncovered 10 to 15 minutes or until no longer pink in center and internal temperature reaches 170° F.
Affiliate Disclosure! FarmgirlPaleo.com contains affiliate links. If you make a purchase through an affiliate link, I will make a commission at no extra cost to you. Thank you for supporting us and keeping our website going. 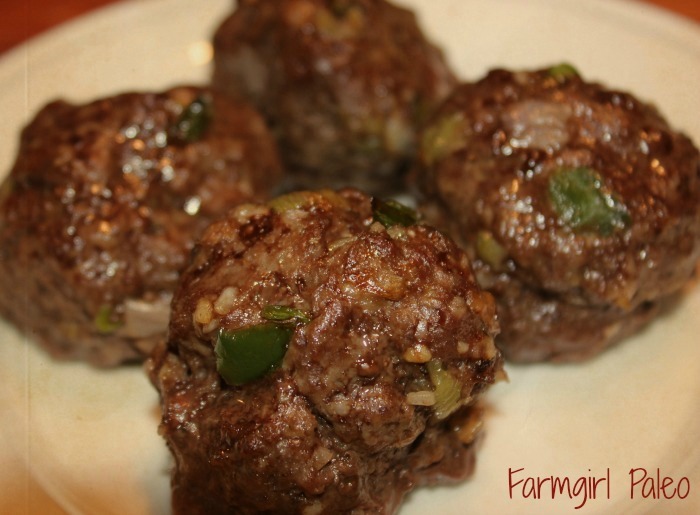 Farm Fresh Meatballs are quick and easy to make for lunch paired with your favorite vegetables or a salad. Bake uncovered 10 to 15 minutes or until no longer pink in center.